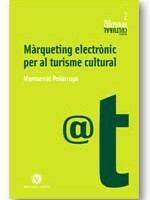 The next 16 to 20 September held in Vic (Barcelona) the conference Digital Music 2.0 under the Vic Live Music Market. He Digital Music 2.0 It is dedicated to training in marketing materials and music promotion in a digital environment. The conference is aimed at professionals Catalan, Spanish and European musical and sound from the sector and organizes the SDE (Business Development Service) of the ICIC (Catalan Institute of Cultural Industries). I have the pleasure of participating in the Digital Music 2.0 day 18 at 12 hours, and I will hold a conference titled "The 10 most common mistakes in Online Communication". In half an hour I will review the 10 errors that we are more frecuentemene when help companies define their communication strategies. To give a little animation to the conference, at the end of it, my fellow sufferer in training, Victor Francis (CEO Reexporta.com), It will perform a "Slumdog Millionaire" contest in divulging type format to have a little fun while we ensure that the conference attendees have understood and internalized the above. (After the date of the conference I will hang in this post the power point with which my lecture illustrated). Va ser una conferència super profitosa, fàcil d’entendre, amena, vaja…. felicitats. Sens dubte participaré a la proper taller al desembre. M’ha estat de molta ajuda. Moltes gràcies Robert, m’alegra saber que et va agradar i que en vas treure profit. Ens veiem al taller que es durà a terme al mes de desembre.